Hi readers, I am bringing a blast from the past to you today. This isn’t the actual outfit I wore today but since I didn’t get a picture I decided to show you this. 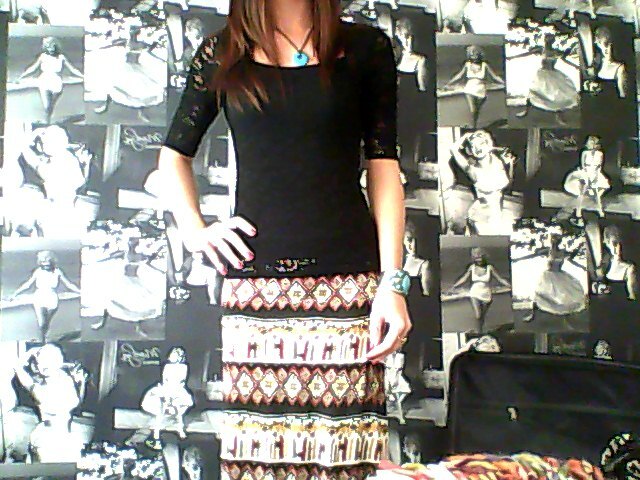 I love this african style maxi skirt that a bought a few months ago, it is really chic & easy to style. I teamed it with a black lace top that I bought in the sale from River Island. I have been very busy today on my day off. I have done a little shopping & tided my room so it is nice & clean! I am working until 8pm tomorrow so I may not be able to update but I will try my best! Next Post Sweet Cherry Wine!